See recent Specialty and Mass-Market products in the Music category. 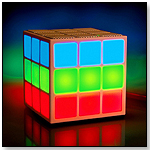 MOBI Cube White Bluetooth Speaker w/ 360° Light Show by MOBI Technologies, Inc. 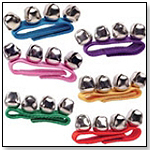 Oversized jingle bells fastened onto a 9" Velcro wrist band. Color may vary. Three 24-page full color, hardbound books featuring 12 simple songs that are ideal for all Schoenhut toy pianos but are specifically created to correspond with Twinkle Tunes Piano Book snap-in, snap-out interchangeable design. These delightful Raggs song books utilize the Schoenhut patented Tri-Play Learning System for the child who has no previous piano study. Each book features activities to accompany the songs and a corresponding Raggs CD to assist the child while learning the tune. Titles include: Sing-A-Long Songs, Celebration Songs (holidays) and Learning Songs (ABC’s, numbers). 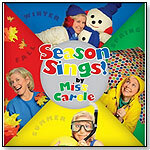 Season Sings! by MACARONI SOUP! •What Makes a Toy Educational? •Q & A With K. S. Hong, President of Aurora World Inc.